Baking has become trendy again, so this may be the perfect time for you to rise to the challenge and buy your very own bakery. Fresh, healthy and ethical baked goods are something that Canadians are looking for more and more and you could be the one to give it to them! 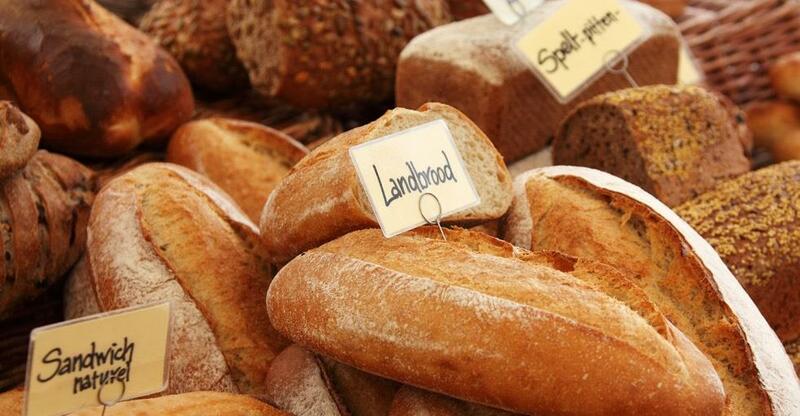 The bread and bakery sector in Canada generates $6, 113m in revenue. Consumers are becoming more concerned with health and this has an influence on what bakeries produce. There is a growing consumer demand for fresh and artisanal baked goods. The consumer focus on health is going to influence the trends that we see in the bakery industry in the next few years. This is great news for small business owners who run bakeries or who want to buy bakeries. Consumers are becoming more likely to buy bread and baked goods from places where they know where the food came from rather than mass-produced food. Tailor your goods to include healthier options, sourdoughs, vegan bread and food-to-go products. You’ll no doubt be able to attract customers with these products. Buying a bakery is an exciting venture. Working with your hands, being creative and smelling freshly baked bread every day seems almost too good to be true. There are skills, however, that you will need to make sure that your business is successful. You will need to learn how to make a wide variety of baked goods and you can do this through practice or training depending what suits you best. If you have bought a bakery you could hire a professional baker to make up for any skills that you lack but you will definitely need to be detailed oriented and have a good idea of how to run a business. You will also need to be passionate about baking. Keeping a meticulous record of spending and income will be vital in order to run a successful business. Attracting customers is going to be really important to keep your business going, so you should also be comfortable interacting with people. Most importantly, you will need to be ready for early mornings and a lot of pressure. Looking for the right bakery to buy can seem like a daunting task but there are a few things you should look for that can narrow down your search. Consider what kind of funds you have available or what kind of funds you will be able to secure. Don’t set your sights on a business that is too expensive and then find yourself overextended with bond repayments as you’re trying to get your business off the ground. Make sure that you have researched, researched and researched again. Having a thorough idea of the market and industry forecasts will let you be prepared for what kind of business you should buy, at what price and where it should be. The location of your bakery will be important if you are planning to sell directly to people that come into your shop. Having footfall in the area will then be optimal for your business. Your business might be delivery based. In that case, you will need to make sure that there is space for delivery vehicles to access your bakery. Make sure that you find out why it is that the bakery is for sale. If the bakery hasn’t been making money, what is it that you can do differently? Find out whether or not the staff are going to be staying on when you buy the bakery. It can save you a lot of money if you don’t have to train new staff. Opening a bakery is going to be an exciting venture and you are probably bursting at the seams with good ideas, but it is worth it to whittle these down and make sure that you have plans that are focused. Have a clear strategy of how you are going to be able to market your bakery and attract customers that will keep coming back for more!